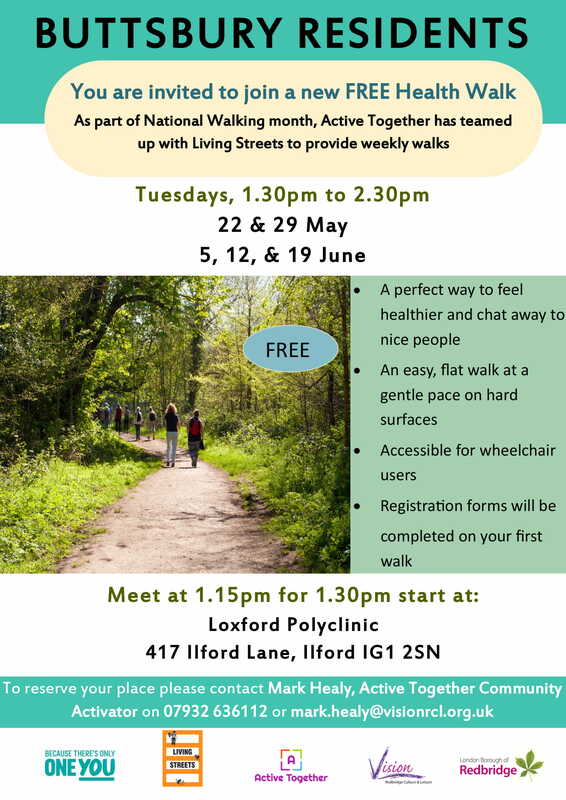 As part of National Walking Month, Active Together has teamed up with Living Streets to provide free weekly walks to local residents living in Redbridge. Please find the poster below. 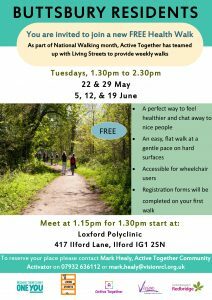 The walks are a great opportunity to meet new people, feel healthier and is accessible for wheelchair users. Registration forms will need to be completed on your first walk.